What's wrong with this pendant? If it looks familiar contact Ace Industries to have your pendant replaced with a radio control pendant. 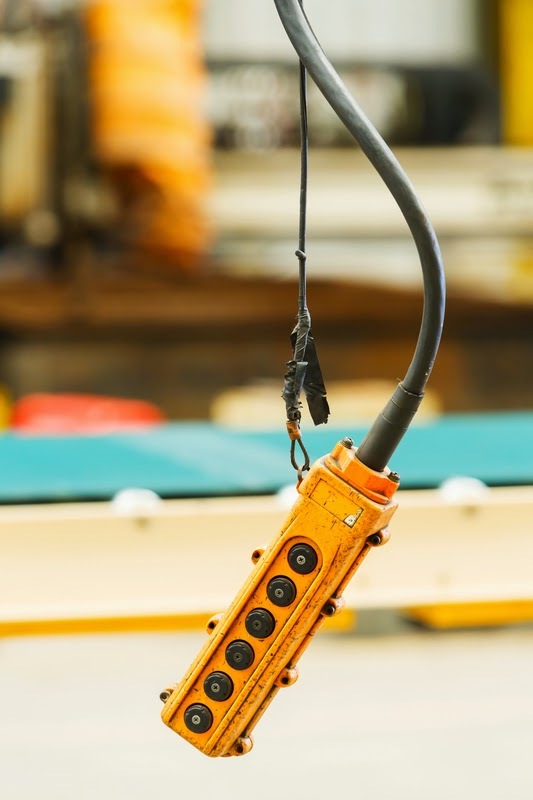 Radio controls can improve safety and productivity when used with overhead cranes instead of tethered controls. With the operator at a better location away from the load and not tethered to the crane, visibility is increased. The operator will have better mobility when no longer tethered to the crane. Communication with spotters and others close by will also improve. When radio controls are used please refer to OSHA Standard 1910.179 as well as ANSA ASC C63 Electromagnetic Compatibility Standard. Access the full Fact Sheet here.